One very common problem that I encounter every now and then with customers and when doing Windows training is the fact that remote controlling computers causes a freeze in the remote session when UAC kicks in. By default, UAC prompts for elevation on something called the secure desktop, and that effectively blocks any remote input. This problem can be fixed by changing the necessary UAC settings. Just as a note; Never ever turn off UAC! So to summarize the key areas which you can look into when optimizing performance from an infrastructure point of view here is a summary of the key takeaways from TechEd session WCL326: Five infrastructure changes that will boost performance for the Windows Client. Use Windows Performance Toolkit (part of Windows 7 SDK) to troubleshoot what is happening during boot. Specifically narrow in one Group Policy in the section in the Generic events and look for and enable only the Group Policy provider to see what’s going on with group policies. Group policies and scripts are most often the bad guys when having performance problems with boot and login. Also use Event Viewer > Applications and Services > Windows > Group Policy > Operational log to look for instance events with id 5326, 8000, 8001or 5016. In particular the last one is of interest as this will quickly show you which Group policy extension is taking most of the time to finish. Cleanup, remove unnecessary settings and GPO objects. Convert scripts to Group Policy Preferences as necessary or make scripts running scheduled after startup or login to minimize the boot and login times. Activate asynchronous login for users to speed up login for Remote Desktop Services and RemoteApp. Go to Administrative templates > Policies > System > Group Policy and set the setting for “Allow asynchronous user Group Policy processing when logging in to Remote Desktop Services”. To get full use of performance improvements in SMB2.1 protocol you need file servers that are running Windows Server 2008 R2 or if you are running a third party storage solution to activate SMB2.x support as that is not always activated by default and sometimes a firmware upgraded is needed. Performance increases based on my own performance measuring are varying from 10-80% performance increase. Activate BranchCache feature from Server Manager on the content servers you want to use with BranchCache. Require windows Server 2008 R2 on the content server. For file shares make sure to enable the BranchCache feature on the share(s) you want to use with BranchCache. Also set the group policy “Hash Publication for BranchCache” on the file server(s) found in Administrative templates > Policies > Network > Lanman Server. To activate BranchCache on the Windows 7 client look in Administrative templates > Policies > Network > BranchCache and activate the required GPO settings. To gain use of RDP improvements, SMB2.1 improvements and actually make performance better for file handling the simple thing to do is to migrate to Windows Server 2008 R2. WDRAP (Risk and health Assessment Program for Windows Desktop) is a tool designed for enterprise customers that verifies overall performance, including bad drivers, apps that are causing the machine to start slowly etc. Contact your Technical Account Manager at Microsoft to get more information and analyzing the results with this tool. 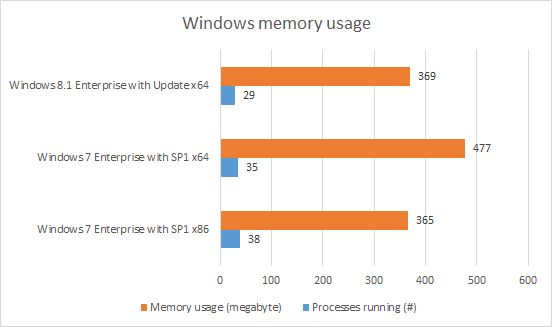 Microsoft themselves used this tool some time ago to improve performance in their environment, more on this in the Microsoft IT Case Study. Q: Can I use this tool to measure performance and troubleshoot on Windows XP? A: You can run the tool on Windows XP by copying xbootmgr and xperfctrl.dll to an XP machine. You can then analyse the results on a Windows 7 machine. However do not expect the same amount of detailed data as Windows 7 has introduced new features that are not available in Windows XP. Any further questions around the session or the topics, feel free to leave a comment to the article or send me an email on andreas.stenhall@knowledgefactory.se. The one most common misconception around AppLocker is the fact that it could be used to allow standard users to install stuff that in any normal case would require administrator privileges. This is absolutely 100% incorrect. What AppLocker does is set a number of rules on what can be run and executed on a machine. It is important to note that if you allow something to run or be executed via AppLocker rules the user will still need the appropriate privileges if the setup or application itself require administrative privileges at some point in time such as when doing automatic updating for instance. A perfect reference image for Windows is fast to deploy, contains all security updates and all other necessary patches and possibly also applications like Office and least but not last is fully automated to achieve the best possible stability and to avoid the potential of manual errors. This guide is intended to show you how to build the perfect reference image ever made! There is no need to invent the wheel again as this can be achieved very easy in Microsoft Deployment Toolkit. Start by downloading Microsoft Deployment Toolkit and in the components section make sure to download and install Windows Automated Installation Kit. Start Deployment Workbench and off we go! Note: This guide applies to everyone regardless if you are deploying Window using SCCM, MDT or any third party deployment solution. 1. In Deployment workbench create a new share for creating the reference image so start by creating a new one and name it like “Reference image build and capture share” or something of your choice. 2. Add the OS install files (repeat for each OS you want to build for) into the operating systems folder. Always include the setup files so never install just a WIM file at this stage. 3. Create a task sequence based on the Standard client task sequence (repeat for each OS you want to build image for). 4. For each task sequence edit the task sequence to enable the existing but disabled “Windows Update” step(s). 5. Edit the rules of the share by right clicking it and choosing Properties. The rules (customsettings.ini) should look like below. Replace the variables BackupShare and BackupDir with whatever the share name and directory to store the images are. 6. Modify the bootstrap.ini to look like the below information. Replace the variables according to what applies to your configuration. 7. Now add to the Rules (customsettings.ini) a section named like below. This sets that the Windows Update step will point to your WSUS server, where you are in control of everything that is released by Microsoft and thereby staying 100% in control of what is in your image. 9. Update the deployment share to get boot ISO which you use to boot your virtual machine and start the build process. Remember to always build the reference image on a virtual machine to avoid potential problems related to hardware. You could also add the Office as an application in the Deployment Workbench and to all task sequences that require it to make sure that you have a rapid deployment image ready to go. This guide will take you through the necessary steps to create a DaRT 7.0 installation locally (replacing WinRE) and not having the user need to enter the password for a local administrator account before having the remote connection start. Basically this means that a user can press F8 during boot and choose “Repair your computer” and have someone remotely taking control over their machine and fixing problems which previously required physical presence of IT staff. Note: There is information on how to do this in official MS documents for DaRT 7.0 but you have to do a lot of reading between the lines so I wanted to take the moment to do a complete documentation on how to accomplish this. Some basic information about WinRE is that whenever you start WinRE (and that includes DaRT 7.0) when it is located on the machines disk it will always ask you to supply a local admin account information. This is not the case if you boot WinRE or DaRT from USB, DVD, CD or via PXE boot, then you do NOT have to enter a local admin account to gain access to the system. Potential security issue here I might add. 1. Go through the DaRT Recovery Image wizard and create your DaRT.iso. Then extract this ISO file and copy boot.wim which can be found in the sources folder to C:\DaRT and rename it to winre.wim. 2. Start a cmd.exe with administrator privileges. 7. After the image has been saved you need to replace the existing Windows recovery environment with your customized DaRT installation. 8. Start by making sure that you show hidden and operating system files (via Windows Explorer – Organize – Folder and search options – View). 9. Go to C:\Recovery (if you get “access denied”) you need to modify the access control list, add your account or everyone full control to this folder. 10. Now scroll down the folder structure until you reach where winre.wim is located. Now copy your modified winre.wim from C:\DaRT to this location. Remember to set the ACLs back on the recovery folder when you are finished, that is if you modified them. 11. Test by booting the machine and press F8 just before Windows starts loading and you will get “Repair your computer” option. Choose that and see how the Remote Connection is started along with the prompt for local administrator password, giving your users a chance to let you connect and then giving the IT staff enter the password. Hit an interesting issue when I was about to do a MAP (Microsoft Assessment and Planning Toolkit) scan at a customer. When installing SQL Server Express 2008 R2 I hit a problem and got the error message “Performance counter registry hive consistency” = FAILED installation. The problem was that the System Locale was not set properly for my Windows 7 box. Fix was to set it under Region and Language – Administrative tab and there set the system locale and restart the machine. After that the SQL Server installation went fine!